Kayak on some of the most pristine lakes in the Argentinian lake district. You'll take full advantage of the outdoors by camping each night and explore the Limay River and Frey waterfall with a local kayaking expert. This trip is available from September to April come rain or shine (or snow)! We will gather at the arranged meeting point and drive to Lake Correntoso, where we will get to know the rest of the group and our kayaks as we pack. We will be given a safety and kayak orientation talk, and then climb on board to paddle all day long and enjoy the surroundings. 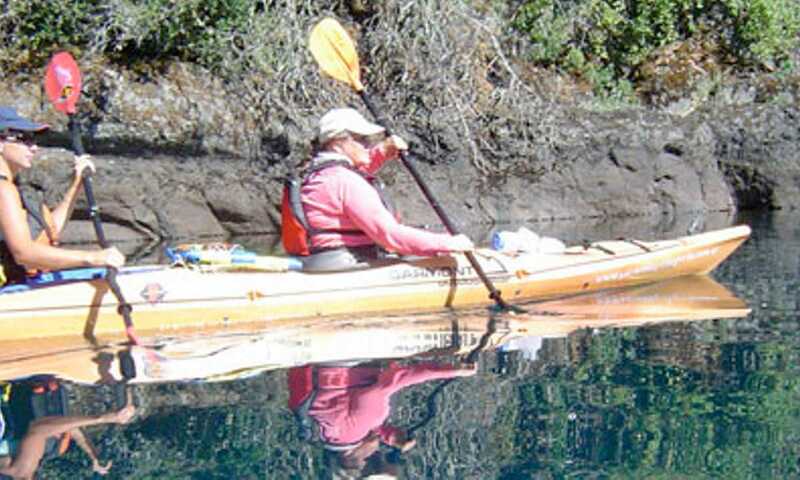 We will complete our Lake Correntoso tour and paddle along one of the world’s shortest rivers, the Correntoso River, to further enter Lake Nahuel Huapi and enjoy the majestic scenery there. We will spend the following six days here, always paddling in southwest direction, along the Rincón and Machete branches, and stopping at Victoria Island to visit its Arrayanes Forest and at Mount Millaqueo for one day of trekking. We will further continue to Centinela Island, where Patagonian pioneer Francisco P. Moreno lies buried. We will then enter the Blest Branch, a vast fjord in which waterfalls reach the lake and the water changes its shade with the light of day. 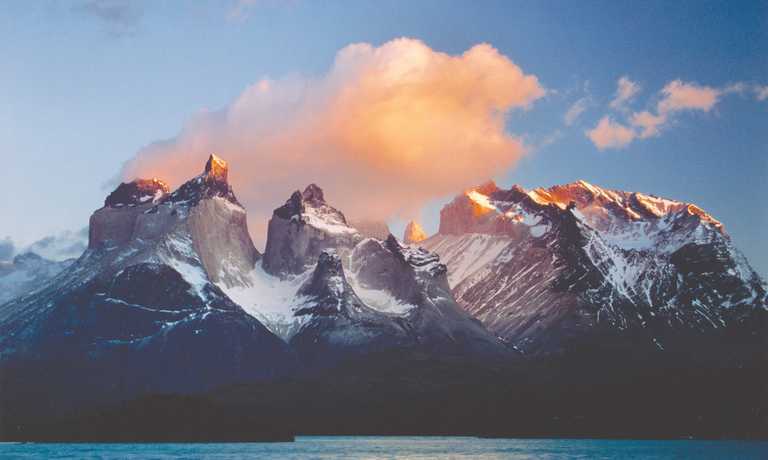 The history of this national park will be manifested to us at Puerto Blest, where it all began, the obligatory passage to Chile for the old wood merchants. We will then continue our trip east, leaving this great fjord and entering the Tristeza Branch, of a depth of 15 km. After only a few minutes, we will be immersed in a dream landscape, surrounded by Mounts López and Capilla, among others. We will paddle part of the lake branch and further make a lunch stop close to one of the area’s most beautiful waterfalls. In the afternoon, we will paddle to the source of the lake branch, where we will set up camp. The next morning, we will trek up to the Frey waterfall and further to the lake of the same name, through woods of native species such as the ancient larch tree. Finally, we will get the kayaks ready once again to return along the branch to López Bay, always paddling below huge snow-peaked mountains over 2,000 m high. At this point, we will enter the Angostura stream, some 150 m long, to enter Lake Moreno west, where we will admire the traditional architecture of the Lake District - the large house, the first construction made by the Swiss when they entered from Chile, and the trout hatchery. We will complete this first stage of the outing on Lake Moreno east, on which shores we will set up camp. The following morning, we will be driven to the proximities of the Limay River to begin enjoying the second leg of the tour through the Patagonian steppe. In the morning, we will leave behind the wonderful lakes to enter the plentiful Limay River - “Crystal Clear” in the Mapuche tongue -, which carries the water of the lakes we paddled on to the Atlantic Ocean. Already immersed in the heart of the steppe, we will get our kayaks ready during the morning to continue exploring the river. Quick lunch at midday, and we will further approach the Enchanted Valley: strange rock formations that make a special and magical setting for rock climbers. After a pleasant afternoon, we will reach the meeting of the Limay and Traful rivers, where we will set up camp. In the morning, we will leave the Enchanted Valley behind and paddle along the last leg of the river, where once the “Limay rapids” could be enjoyed prior to the building of a dam. The water will appear heavier, a sign that we will be entering the lake, our last host. We will paddle close to a trout hatchery. The species was introduced from the northern hemisphere in 1903. We will look for a nice place to set up our last camp and spend the night under a starry sky. 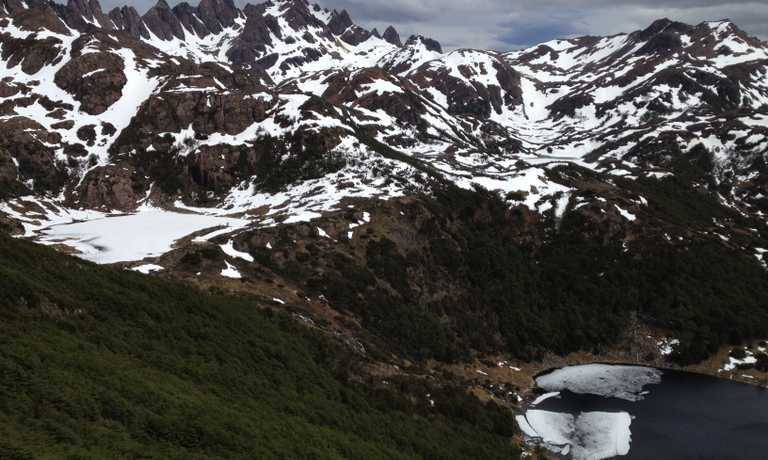 In the heart of the steppe, visiting spots to which only Pura Vida Patagonia can take us, we will end our expedition by a ghost town inhabited by some 7,000 families during the construction of the dam, and further return to Bariloche. We'll then have a final farewell dinner together. Morning free, before taking a flight to Buenos Aires.